What happens when you mix blue and yellow? Now what if you add red? Can you really make a rainbow with just three colours? Jump up on a cosmic cloud and visit worlds of colour in Messy Monsters and the Cosmic Colours. 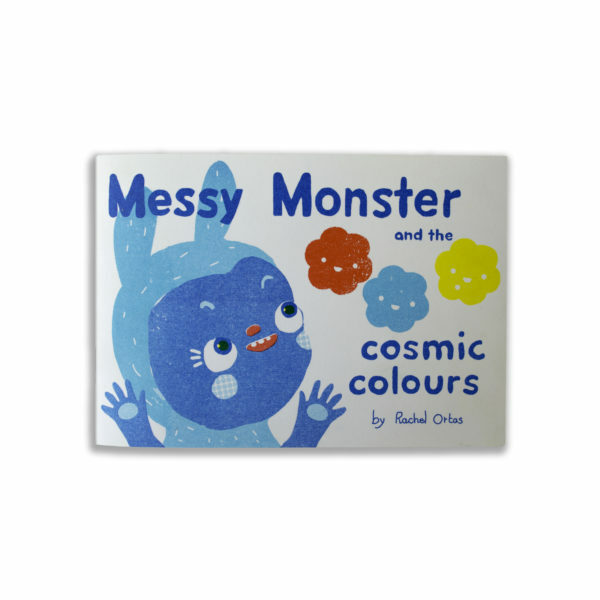 Follow Messy on a trail behind a gluttonous colour thief, meet the cosmic rainbow and learn the basics of colour theory on this mad-cap adventure around the universe.